Michael Grieveson and Company, Chartered Surveyors, was established in 1992 and provides an experienced commercial property service specialising in the London area and outer suburbs. We pride ourselves in providing a professional service that offers a positive and personal approach to resolving property issues. Michael Grieveson B.A. (Hons) F.R.I.C.S. 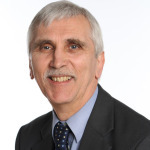 is a chartered surveyor with over thirty five years of commercial property experience and is a former director of a West End practice where he was responsible for the running of the commercial agency division. Since then, he set up a new practice in SW London and has acted on behalf of institutions, developers, banks, corporate, educational and private clients on a wide range of property matters. He has also recently acted as a consultant asset manager for the portfolio of a Middle Eastern company dealing with a wide range of properties in the City of London, the West End and other parts of the UK. This included the granting of location licences at Langley Park House for the production of films and television programmes including The Iron Lady, The Dark Knight Rises as Magnus Rex and The Honourable Woman. Michael is involved in his local community in Hampton on a variety of matters and over the years has participated with a number of friends in various charity events including the Mount Kilimanjaro Summit Challenge in 2009 which raised over £70,000 for three charities including the Shooting Star Children`s Hospice. 49-53 York Street Twickenham has been a great investment for us. Buying the freehold was the right decision and I shall certainly recommend your property acquistion services. Your input has been invaluable in helping us to secure a planning consent for the site in Twickenham.